Peace, Sadness, at the same time certain calmness. This is african poetry–One with nature. What a pleasure. wow wow african woman poet mmhh good work am blessed. Amira is a creative artist, poet, writer and educator, born in Ethiopia, based in the U.S.
She focuses on using creative mediums as a narrative tool, with a particular interest in alternative narratives of the global south: “owning and telling our ‘own’ stories while advocating for viewing ourselves through our own lenses, recognizing that stories are born with a right to be told”. Her creative artistry deals with promoting the African cultural aesthetics, documenting narratives of journey -stories we live in. While producing and curating these stories, she hopes to assess social issues, explore the beauty of arts, culture, and wisdom of the global south, in connection to the world. She is a regular contributor to Pambazuka News and chief writer, as well as editorial team member at AfricaSpeaks4Africa.org. 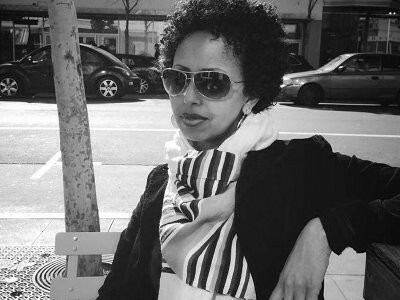 She is currently at work on, in collaboration with a South African poet and Kenyan writer, producing Podcast stories (Afro’pick and coffee) that accentuates the everyday stories of the African disaporans, residing in America.